We will be showing the Mexican prints we have collected in the last 3 years at Remarque/New Grounds Print Workshop in Albuquerque -- 3812 East Central (near Carlisle). 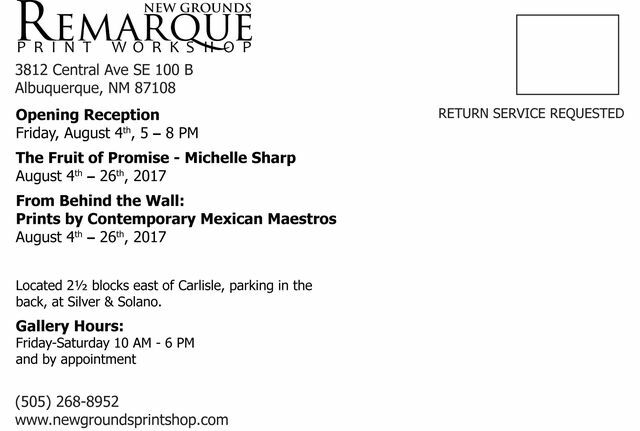 Opening on First Friday, August 4th, 2017, from 5 - 8 pm. 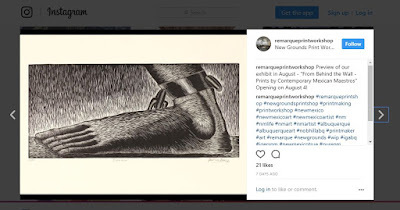 This exhibition runs until the 26th of August. 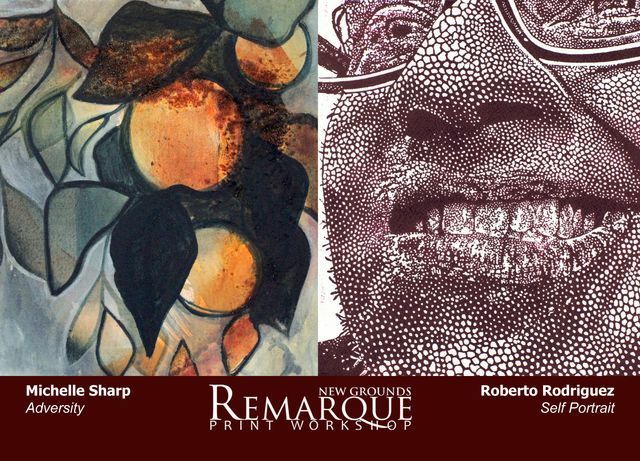 Gallery hours -- Friday and Saturday, 10 am - 6 pm, and by appointment. Since the beginning, we have been facing south, feeling the pull and influence of Mexican prints. 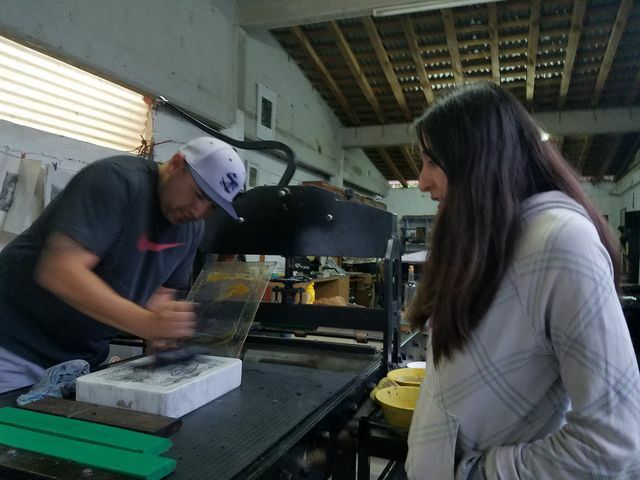 Almost half the prints from the Desert Triangle Print Carpeta were made in Mexico -- at Taller 75 Grados, Taller Grafica Libre, and La Ceiba Grafica. 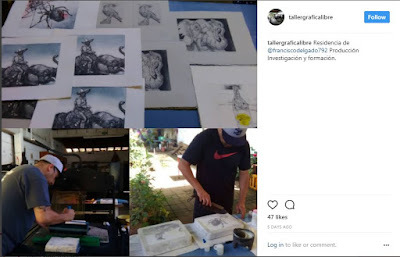 All along we have been collecting from young Mexican printmakers -- there is an explosion of activity from Mexican printmakers under 40 years old. 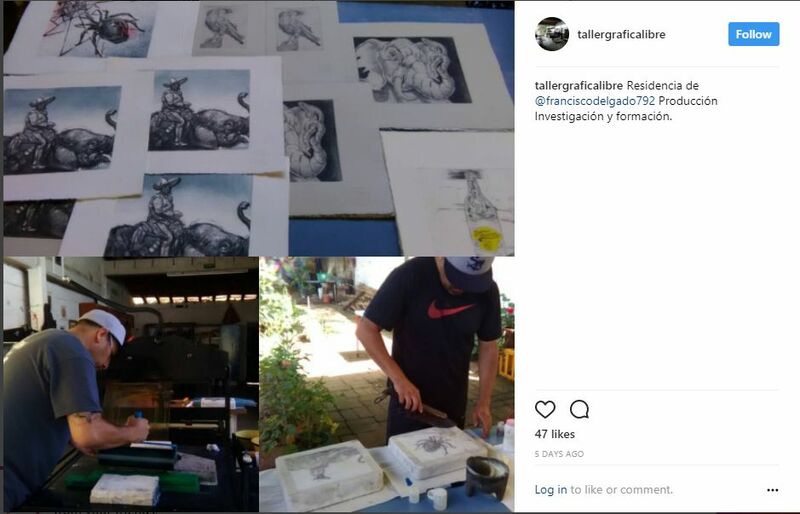 Moreover, we have shown our prints in Puebla, Oaxaca, and Mexico City, to an enthusiastic response. 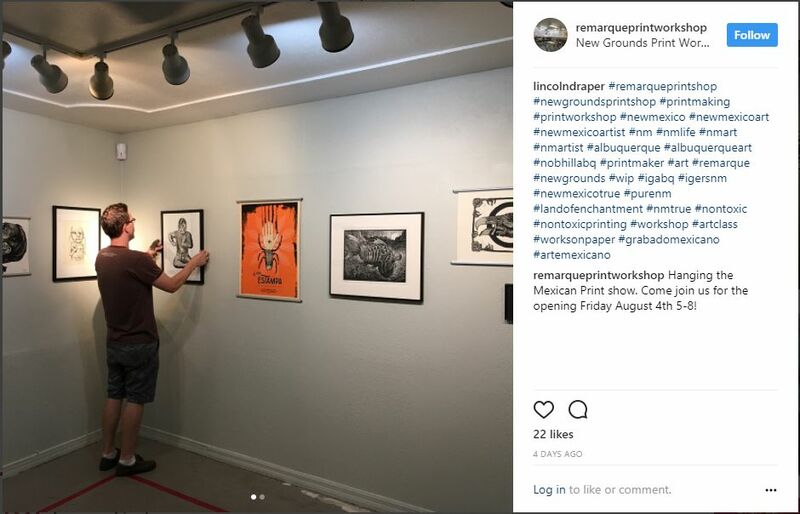 It would be great to see more contemporary Mexican prints in the United States in the future, and perhaps we will enjoy the privilege of showing some of our prints down there as well. 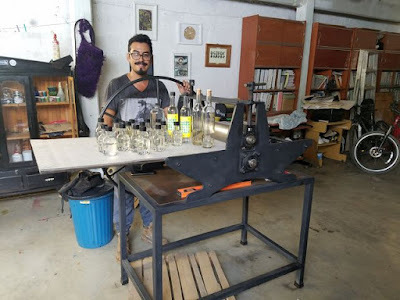 Francisco Delgado of El Paso, just finished making some editions at Taller Grafica Libre in Oaxaca. 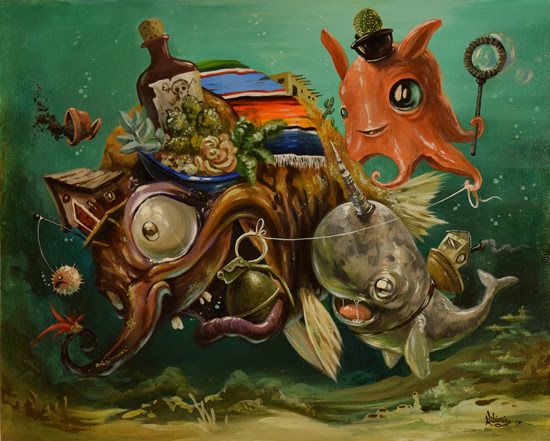 Also opening the same night, just down the street at Stranger Factory, is a show featuring our friend John Paul Gutierrez (whose print and sculpture was in our Albuquerque show last April). 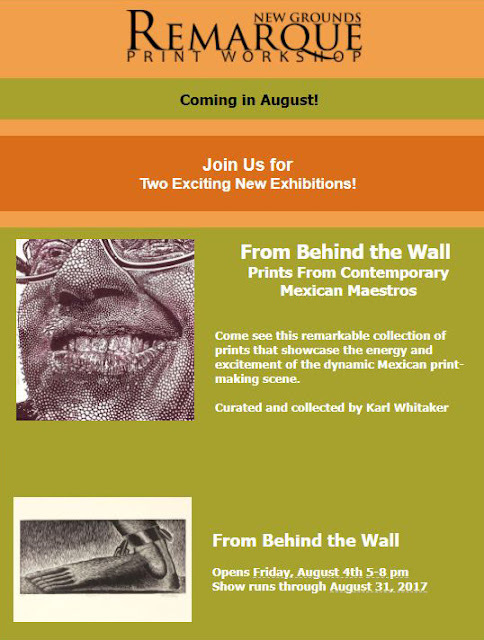 His recent work -- The Succulent Gardener -- opens from 6- 9 pm, Friday, August 4, and runs through August 27th. The Stranger Factory is in Nob Hill, 3411 Central Avenue NE, Albuquerque, New Mexico. Laura Turon will be introducing her traveling art bus -- Paradox -- at the El Paso Museum of Art during the Last Thursdays artwalk, July 27th. Her artwork is also being printed live at the Art en Vivo event by Proper Printshop that night. 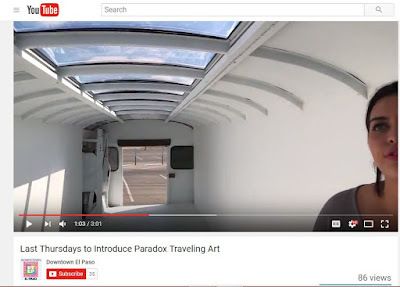 I think mobile art galleries are perfect for showing prints! 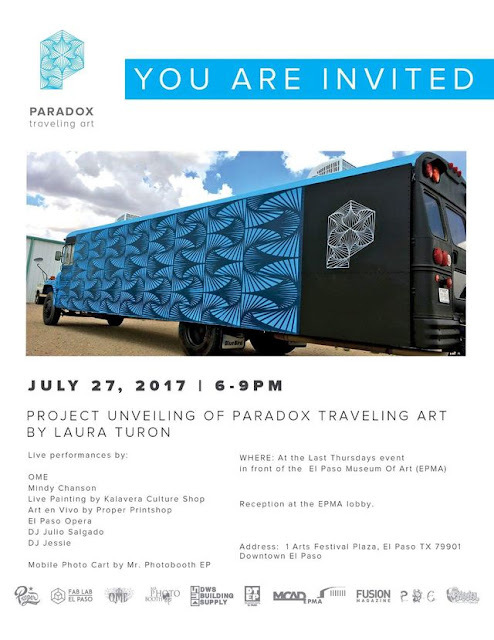 Here are some other mobile art galleries.